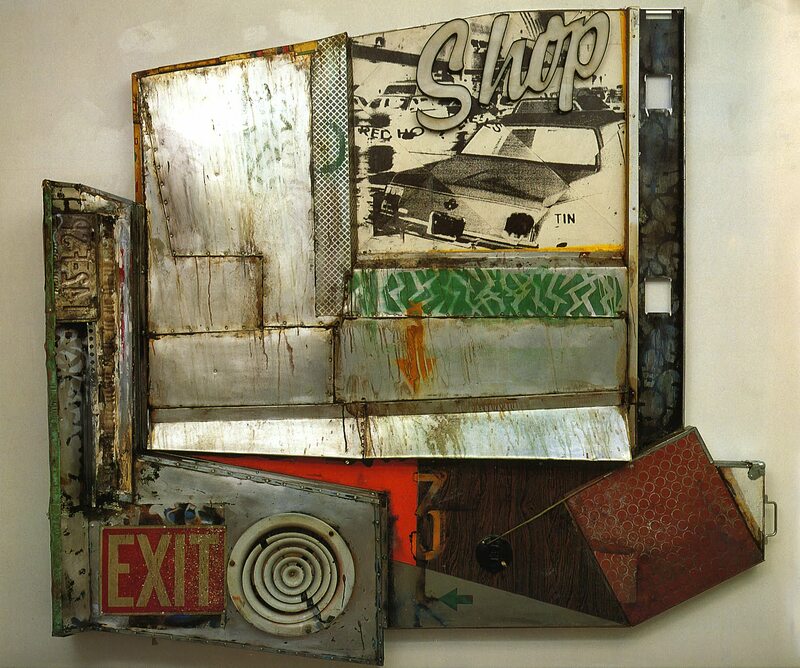 “First Avenue Cruiser” – Jake Tilson, mixed media collage; combines black and white photo copies, riveted metal, air vents, and items salvaged from dumpsters. 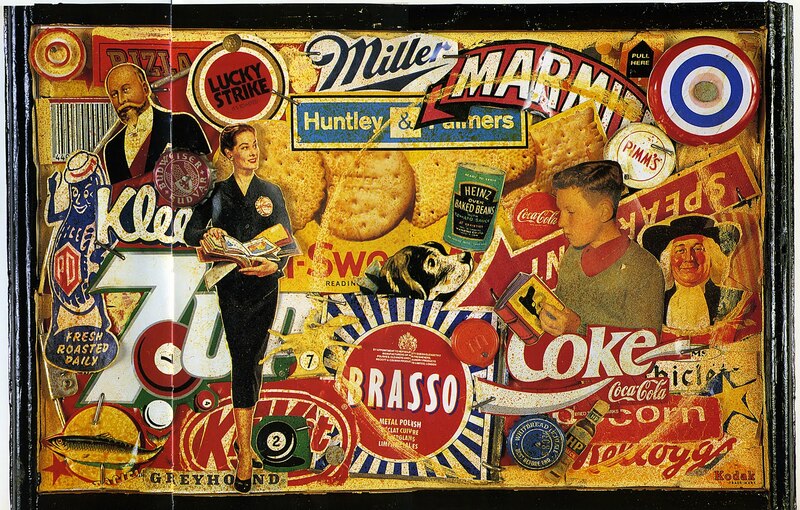 “Brand Names” – Archer/Quinnell, paper collage; originally commissioned to illustrate a feature article. 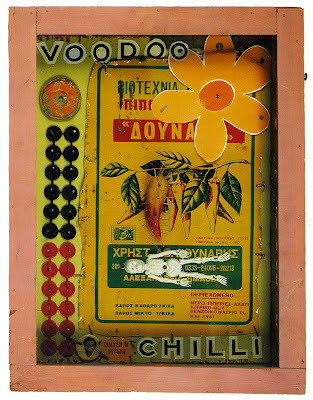 “Voodoo Chilli” – mixed-media construction, Archer/Quinnell; combines a metal sign, buttons, pins, plastic skeleton, a chilli and painted wood. 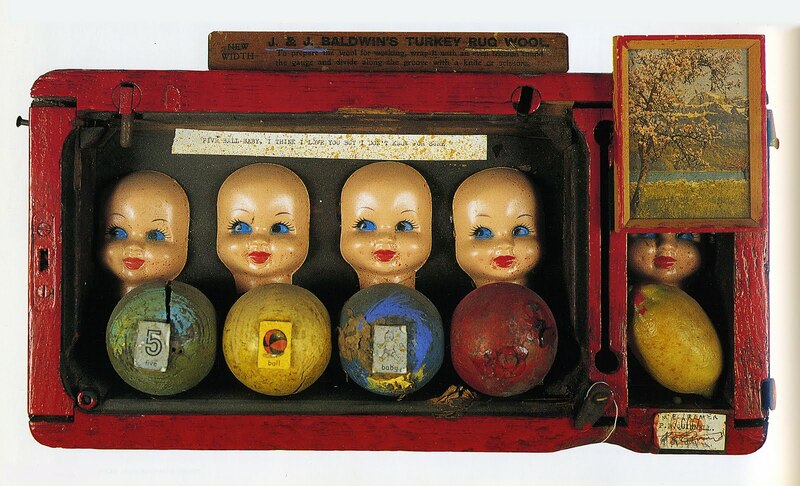 “Five Baby Ball” – Archer/Quinnell, mixed-media construction; combines a doll’s heads, painted wooden balls and a reproduction painting. 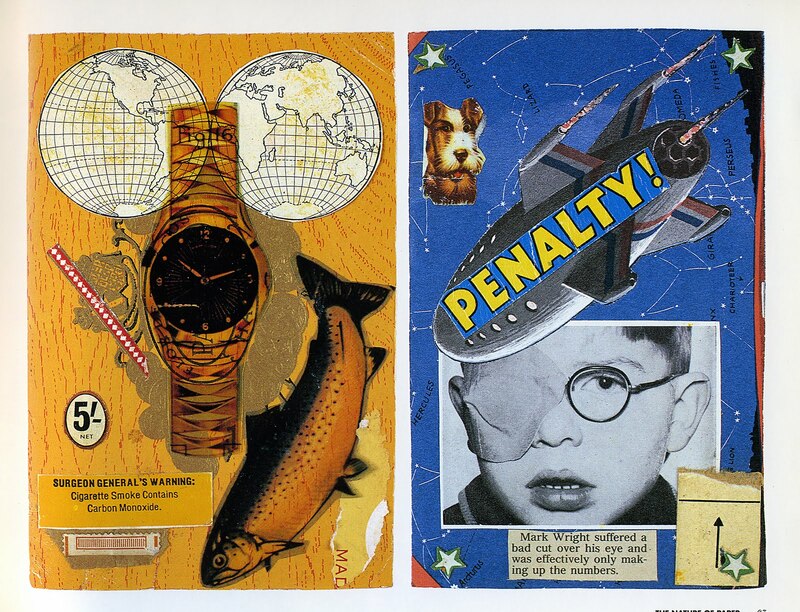 Postcard Series – Archer/Quinnell, paper collage; combines printed images glued to wood. 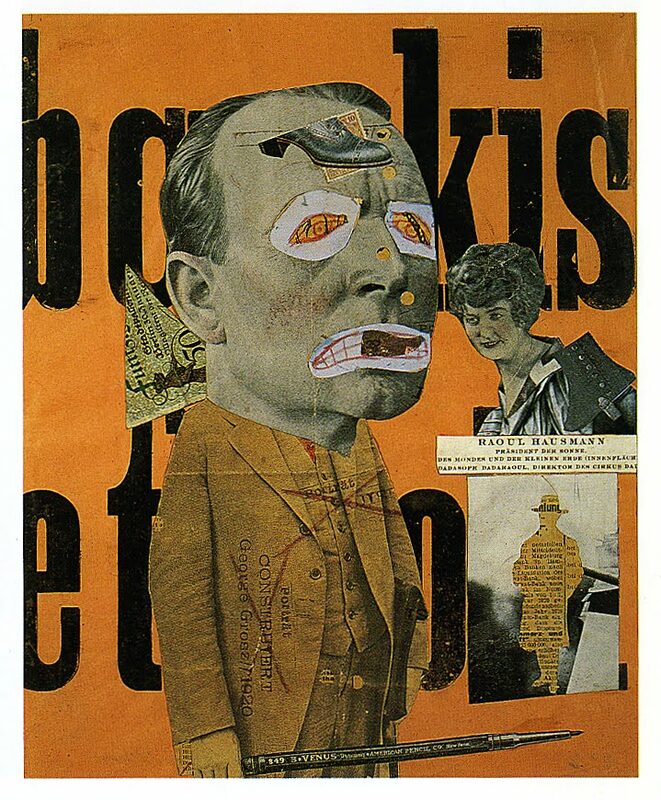 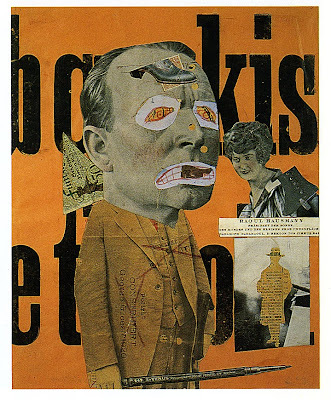 “The Art Critic” – Raoul Hausmann, 1919 paper collage; example of Dadaist photomontage. “Letters Impériales” – Carolyn Quartermaine, mixed-media; combines hand-printed and painted silk papers with crayons, pigments, gold leaf and wax. 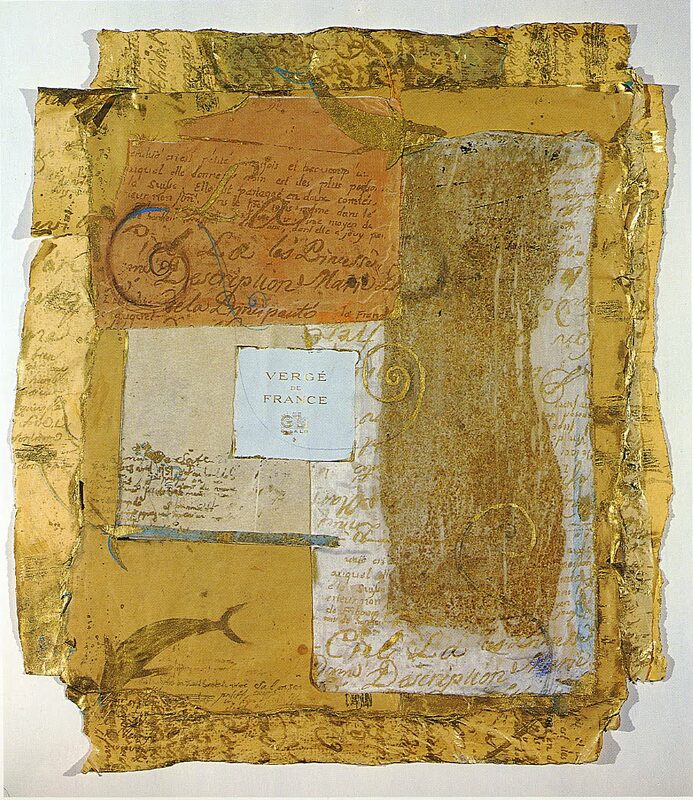 “Untitled” – Andrew Hirniak, mixed media construction; combines bandages soaked in gesso, a feather and plastic seagulls. 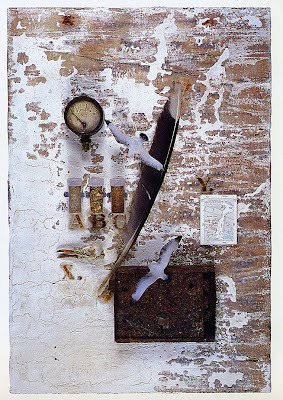 “Untitled” – Andrew Hirniak, mixed-media construction; spectacles, a bird skull, metal type, dry transfer, a fluorescent tube, different papers and pieces of wood, plastic and glass. 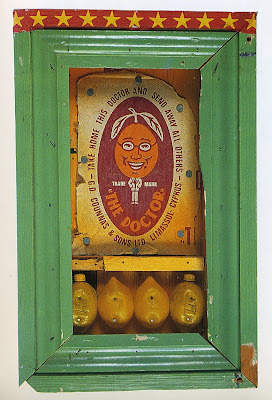 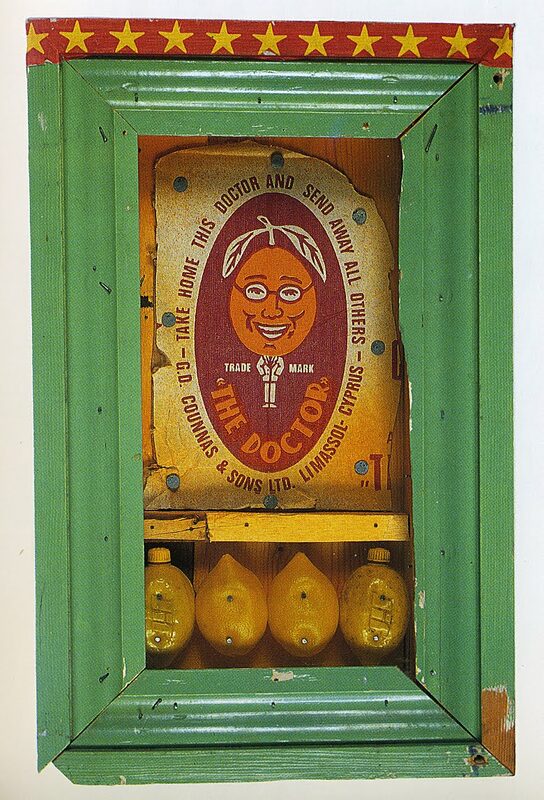 “Lemon Doctor” – Archer/Quinnell, mixed media construction; combines plastic lemons, a printed label, nails and a wooden frame.